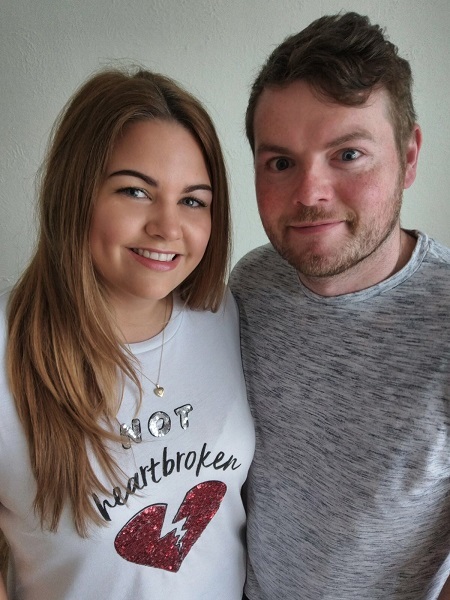 Foster care transforms lives is the theme of this year’s Fostering Networks Foster Care Fortnight campaign (14 – 27 May) and this is certainly true for newly recruited foster carers Kylie and Joe. They’ve recently been approved to be foster carers for Cheshire West and Chester Council after being inspired by Kylie’s aunty and parents who collectively have been fostering for the Council for 30 years. Kylie explained: “I always remember my aunty fostering when I was younger. When I was 19 my parents were approved as foster carers. As I was living with them at the time I would often help to look after the children and making them happy made me happy. The family have a three year old son and decided to offer respite care placements – taking children in for short periods of time to help out other foster carers. In the future they plan to offer more permanent placements once they see how their family adapt to their new role. With over 330 children in foster care in west Cheshire and only 129 approved fostering households it’s so important for the Council to recruit more carers so that children can thrive in a loving home environment. Councillor Nicole Meardon, Cabinet Member for Children and Young People said: “It’s great to hear stories like Joe and Kylies which show the next generation of foster carers applying to look after some of our most vulnerable children and offer them the best start in life.